A felony warrant has been issued for Deshawn M. Randall (DOB 3/19/1997) as the suspect in this morning’s fatal shooting. At 10:02AM, Officers responded to the 1300 block of Redfield Street for a report of shots fired. The victim in this case was a passenger in a vehicle that had driven into the area of 1300 Redfield, where the confrontation occurred. The suspect shot at the victim, who then fled from the vehicle on foot. Randall chased the victim to the 1300 block of Green Bay Street, where more shots were fired. The victim was eventually located in this area and pronounced dead at the scene. The suspect fled the area on foot prior to police arrival. Deshawn M. Randall is an 18 year-old black male, 5 foot 8 inches, and 130 pounds. Randall was last seen wearing a red sweatshirt and dark-colored pants. Randall is considered armed and dangerous and should not be approached by the public. The Investigative Bureau of the La Crosse Police Department continues to investigate the incident with the assistance of the Wisconsin State Patrol, La Crosse County Sheriff’s Department, West Salem Police Department, La Crosse County Medical Examiner’s Office, and the District Attorney’s Office. At this time, the Police Department feels that this incident is possibly related to this past weekend’s shootings. The La Crosse Police Department does not believe there is any danger to the general public, as this incident appears to be a targeted event. 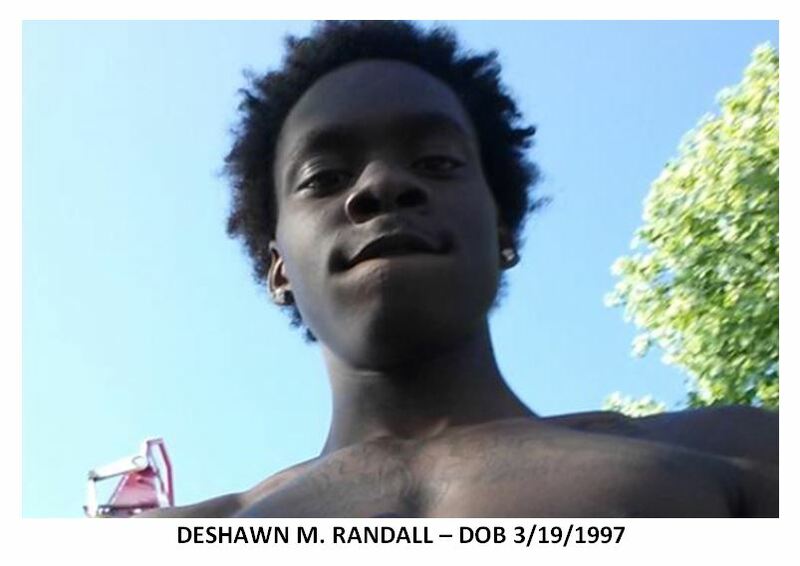 We ask that anyone with information as to the whereabouts of Deshawn M. Randall or this incident call the La Crosse Police Department at 608-785-5962 or La Crosse Area Crime Stoppers @ 608-784-TIPS. You also can text “LAXTIPS” and your tip to 274637 (“Crimes”) or fill out the online Web Tip Form. Tipsters can remain anonymous.